Erythema. Historical medical illustration of cases of erythema, reddening of the skin as a result of injury, infection or irritation causing dilatation of the blood capillaries. Fig.1: Erythema marginatum et gyratum, featuring pink rings on the torso, Fig.2: Erythema papulatum, and Fig.3: Erythema iris et circinatus. 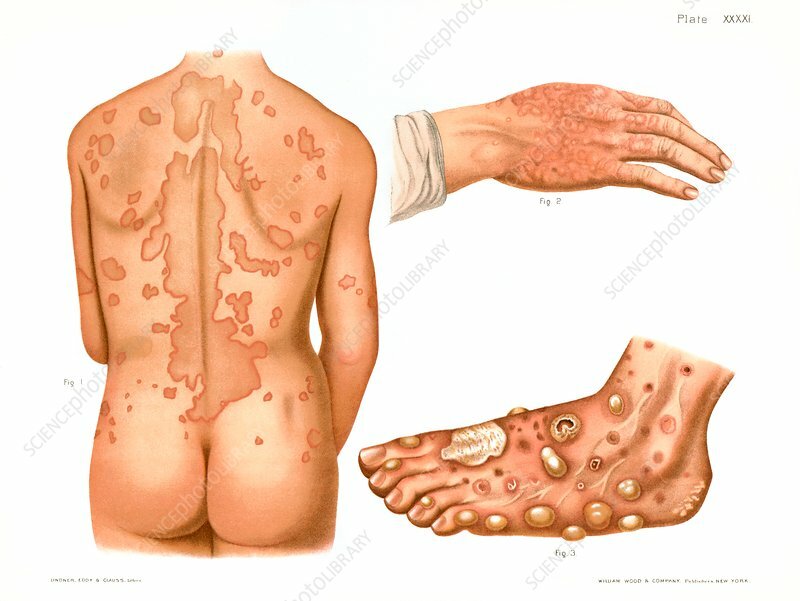 From Atlas of Venereal and Skin Diseases by Prince Albert Morrow, published in 1889.